Dorothy H. Hayes did it again! She continues the fast-moving mystery thriller technique of Murder at the P&Z and Broken Window, in Keys to Nowhere as we follow Carol Rossi, an investigative reporter in her search for a missing aunt and her two nieces in Tucson, Arizona, who disappeared at the beginning of their vacation. Diana Westlake and her two nieces accept the help of a ranger who they met at a local restaurant, and they are not heard from again, even though they had promised to call home as soon as they got settled. This prompts the very worried family to plead for Rossi to get involved and fly to Arizona to look for them. We then follow Rossi in her exciting and dangerous search for Diana and the girls. We won't tell you how the mystery ends, so you will have to read Keys to Nowhere for yourself to see the conclusion of what happens to Diana and the girls. Rossi and her husband, Jerry, a detective, are vegans and live on Peaceable Kingdom, their farm animal sanctuary. 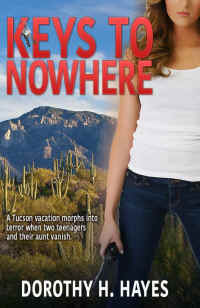 Keys to Nowhere is one of the Carol Rossi Mystery series. Dorothy Hayes, a staff writer for local Connecticut newspapers for five years, received an honorary award for her in-depth series on Vietnam Veterans from the Society of Professional Journalists. Prior to that she was a Language Arts teacher. A staff writer for a national animal protection organization, for six years, she wrote Animal Instinct, 2006. Dorothy lives in Stamford, CT with her husband, Arthur. She also raised four children, and is the mother-in-law to three, grandmother to fourteen, and is GN to Bella. She writes for WomenofMystery.Net, CriminalElement.Com, and is a member of Sisters-in-Crime-Tri-State Chapter, and Mystery Writers of America. 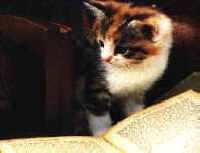 Visit her at DorothyHayes.com for more information.